Do well-designed home gadgets have to be made for the sole satisfaction and enjoyment of the user? Or is it possible for not-entirely-useful objects to become welcomed parts of the household? Design student Weng Xinyu’s graduation project is entitled “Good Medicine Tastes Bitter,” a quote from the wise Chinese philosopher Confucius. 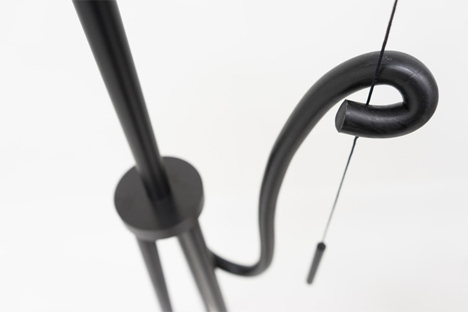 The meaning of this title becomes clearer when you see how each object interacts with its surroundings. The Angry Lamp, for example, notices when it’s not getting any attention. If there is another lamp on in the room or if the room’s inhabitants leave or ignore it, the lamp turns itself off. And it doesn’t just stop shining – the lamp stands on three legs and a fourth is held up like an arm. When the lamp shuts itself off, it twitches its “arm” to do so, emphasizing the action in a very human way. 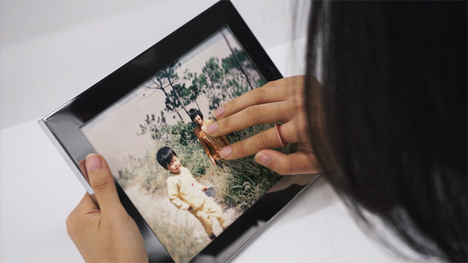 Tangible Memory is a bittersweet reminder that even our best memories fade over time. 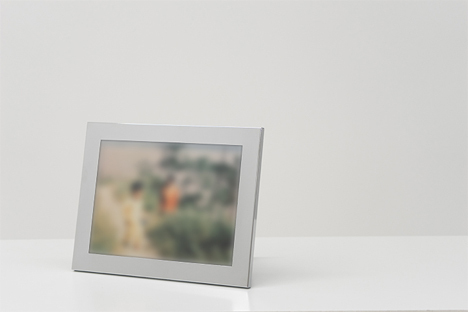 It is a small photo frame that begins to blur the picture over time the longer you don’t interact with it. 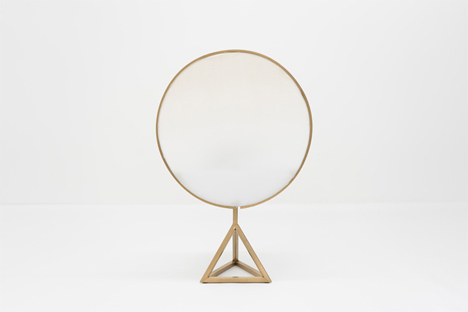 The frame is meant to hold a snapshot of a cherished moment, and to induce a little tug at the heartstrings when that moment seems to blur into oblivion. Not to fear, though: the picture comes back into focus when you pick up the frame and touch the photo. 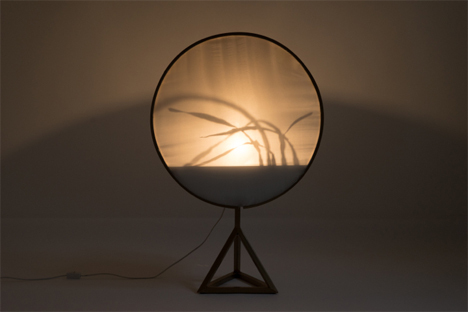 Shadow Play, another lamp, takes a slightly less grumpy approach to interacting with its surroundings. 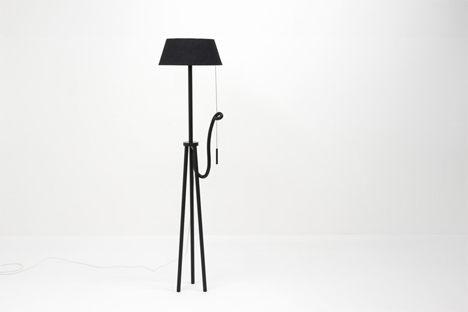 The lamp creates shadows and then highlights how they interact with the lamp’s light. Small grass-like shapes behind the lamp’s shade seem to interact with the heat from the bulb, slowly lifting and moving. According to the designer, this creates a poetic interplay between light and shadow. Finally, Time Killer is a remarkable object all on its own. 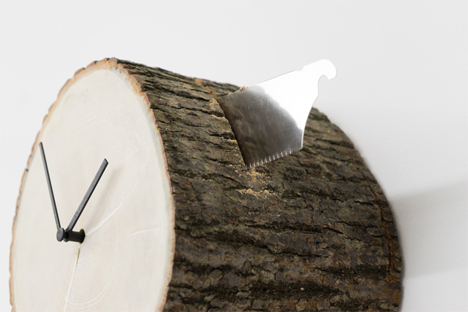 The clock is made of a log, clock workings, a motion detector, and a built-in sawblade. 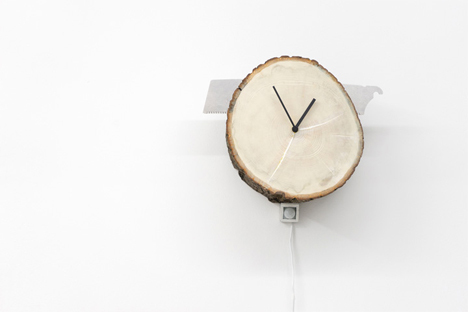 When no one is in the room, the clock begins to literally kill time. The sawblade goes to work, very slowly moving the blade back and forth through the wood until, presumably, time has been defeated and the clock’s face falls to the floor. 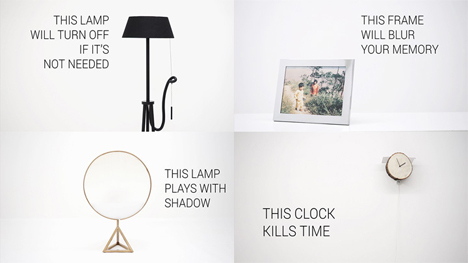 None of these objects are meant to actually be place in consumers’ homes. Rather, they pose some interesting questions about the amount of quirk and lesson-learning we are willing to tolerate in product designs of the future. The objects are not practical or useful so much as they are meant to teach some sort of lesson: use resources wisely, remember your past, enjoy the balance of life, and remember that time is always limited. See more in Various Gizmos or under Gadgets. December, 2014.